Demand Creation is a system of corporate innovation for driving organic business growth. This system consists of three complimentary methodologies — the Entrepreneurial Insight Generator for opportunity and threat discovery, Value LIFT for increasing value of existing products and services, and AVID for creating new products and services that customers want. These three methodologies have a common mother if you will — they are all informed by the Customer Demand Model. It is this Model that creates cohesion among the three Demand Creation methodologies and is what makes Demand Creation an effective system for corporate innovation. Let’s take a closer look. The customer demand model is not a methodology, per se. Rather it’s a theoretical framework that explains customer demand dynamics. More specifically, it explains what drives customers to search for better solutions, how customers evaluate competitive solutions relative to a solution-in-use, and how customers ultimately choose a new job solution that they perceive to the best value out of competing alternatives. Understanding these dynamics enables innovators to work with what we call demand triggers to make sure their innovations meet the thresholds to ultimately create customer demand. These demand triggers are critical if you wish to increase the demand for existing offerings and to create sufficient initial demand for new offerings. 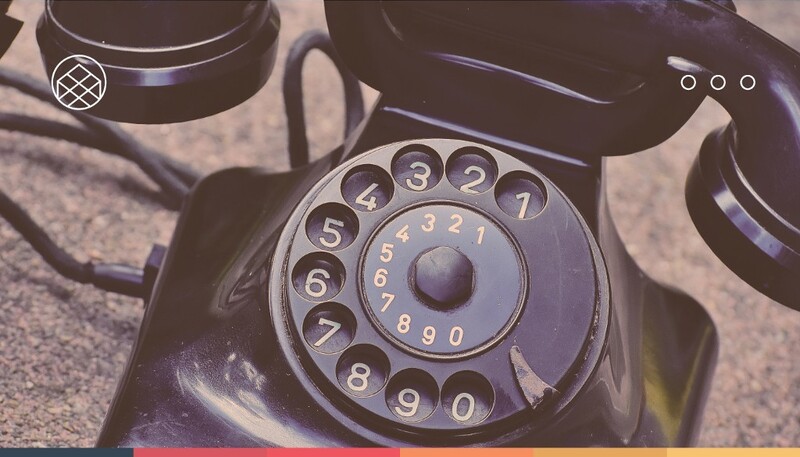 There are three demand triggers — customer priorities, job solution fit, and best value and they represent the three stages of the customer demand model. Demand triggers reflect how a customer’s perception of value influences their choices as they search for new solutions, evaluate solutions, and ultimately choose the best solution out of competing alternatives. The customer priorities trigger predicts that customers will start an active search for a better job solution only if dissatisfaction with the solution-in-use reaches a certain pain threshold. As a matter of practicality, customers pre-select a limited number job solutions based on heuristic criteria — a process we call value framing. These pre-selected job solutions characterize what we call the customer’s solution market. The job solution fit trigger predicts that customers will compare each product or service in their solution market to the solution-in-use they are dissatisfied with. Specifically, customers determine how much better or worse a competitive solution is to the solution-in-use. We call this differential value. The best value trigger predicts which product or service in their solution market, having sufficient differential value, customers will perceive as the best overall value relative to the other competitive job solutions. The difference between the customer’s willingness to pay and the offering price of a solution is what we call the customer value surplus of the offering. Generally, the product or services that has the greatest value surplus as perceived by a customer is the one that the customer will want. At this point, the provider creates customer demand by generating superior value. Contrary to popular belief, the customer demand model reveals that customers do not make purchase decisions based on selling price, per se. Rather, they buy the product or service they perceive to be the best overall value relative to other competing solutions. The selling price is critical as it determines the magnitude of value surplus, but the selling price is not the final demand creation trigger. The relative difference between the value surplus of an offering and the value surplus of competing offerings determines what we call the competitive value position of an offering. A product or service that is positioned to have the greatest value surplus relative to the other competing solutions is the one that will create customer demand. 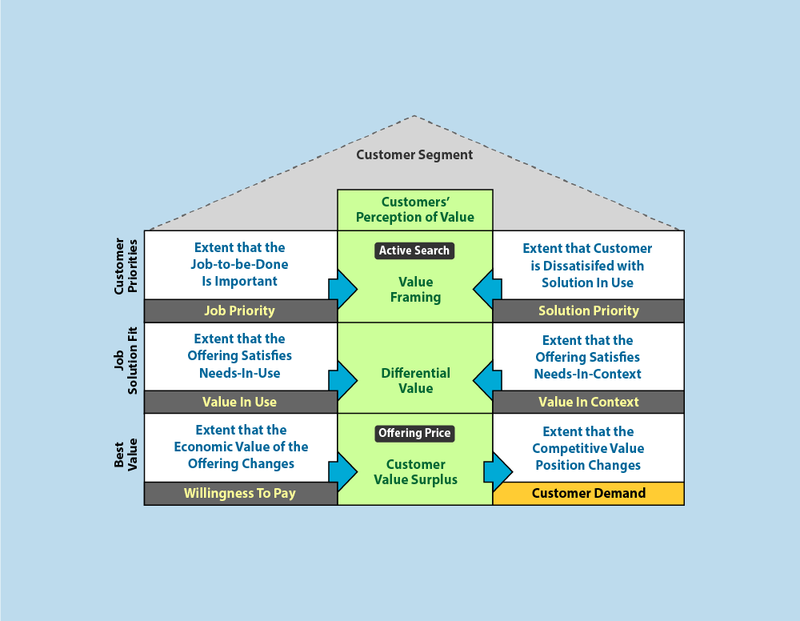 Use the Customer Demand Model concurrently with the Value LIFT and AVID methodologies to ensure that your innovations are well informed by the three demand triggers and their thresholds. By doing so, you will avoid the speculation and ambiguity that causes so many innovation efforts to go off track. Where did it come from? 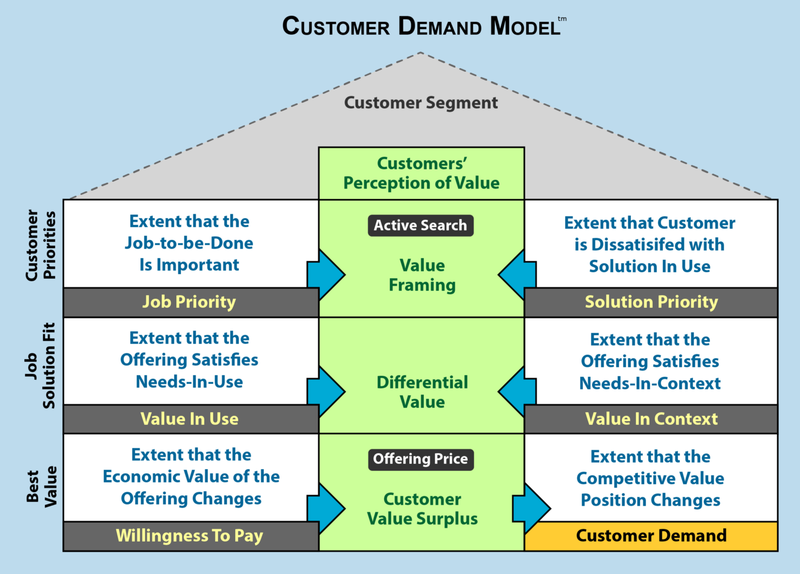 The Customer Demand Model incorporates a number of established theories including consumer choice theory, economic models of willingness to pay, prospect theory, behavioral economics, theory of bounded rationality, service-dominant logic, jobs theory, Theory of Attractive Quality, and others. It’s very important to understand the nuances of customer demand dynamics because business realities are always changing. These changes can frequently have an impact on customer priorities, job solution fit and best value. We need to be on the lookout for these changes and then understand the Demand Creation implications on existing products and for developing new products. To maximize the profitable revenue potential your products or services, you want to position your offerings as the best value for target customers and keep these offerings positioned there throughout their market lifecycle. The Customer Demand Model was developed expressly to help you do this.